Protection (SMP), Linear Filtering Technology (LiFT), and Extreme Voltage Shutdown (EVS). Together, these technologies comprise what is, without question, one of the world’s most advanced and comprehensive transient voltage surge supressors. 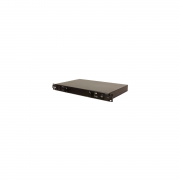 Wth Furman PL-8C you’ve got a rack for your effects, preamps, tuner…You’re going to plug that into the wall? One big spike and your rig is up in smoke. Furman’s advanced Series Multi-Stage Protection defends your gear from the spikes and surges that are so common at gigs and practice spots. With Furman’s advanced Linear Filtering Technology, you’ll get a quieter tone without pops, crackles, and the local radio station coming out of your amp. Can’t track down where that noise is coming from? Your mix sounding flat? With Furman PL-8C advanced Linear Filtering Technology you’ll lower the noise floor caused by the dirty AC power coming into your console or DAW. Furman’s advanced advanced Series Multi-Stage Protection keeps your sensitive digital equipment from acting funny or burning up due to everyday spikes and surges. With a 15A capacity and eleven total outlets, it’s enough to power your whole home studio. Bars, clubs and other event venues have some of the worst power out there – from air compressors turning on and off to light shows pulling current loads up and down, the AC power can be a strain on the circuits in your rig. Furman PL-8C advanced Series Multi-Stage Protection and LiFT keeps the bad stuff out and the dual pull-out front panel lights let you discreetly see your board and gear without distracting from the show on the dance floor. When you’re out there gigging, you never know what kind of power you’re going to get. The wear and tear on mobile rigs eventually takes it toll – that’s why it’s smart to plug into Furman PL-8C advanced Linear Filtering Technology. It keeps your equipment safe and sounding clean. Whether you’re setting up a show at the local club or powering up the church band for their next service, make sure you give them power they can trust.